Reached 30% design in January 2019. Construction is expected to occur in 2021. As part of our efforts to improve safety around school zones, this project will close the southbound Lang Street slip lane in order to eliminate the conflicts between pedestrians and drivers. 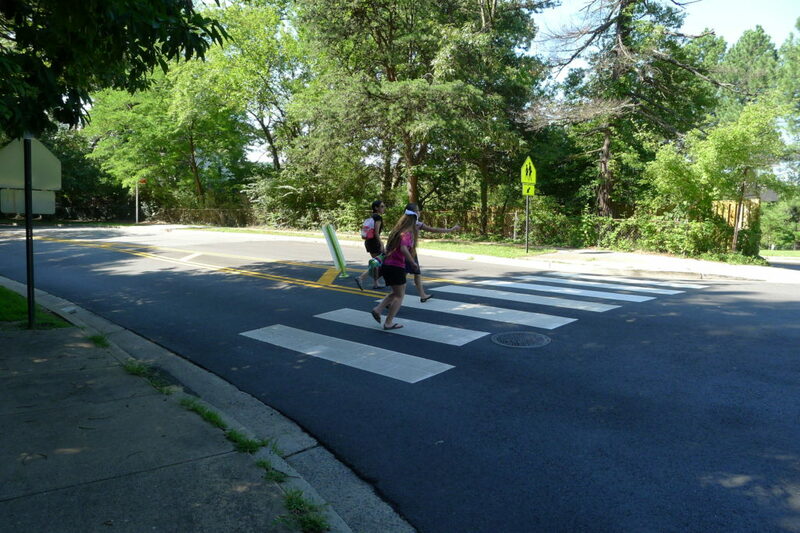 In May 2018 County staff conducted a pilot to verify that closing the slip lane would not back up traffic. The 3-day pilot showed acceptable levels of service and gaps between vehicles for safe turning movements. 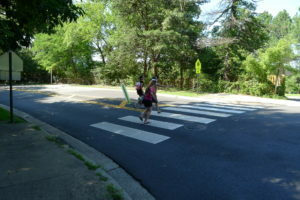 The elimination of the Lang Street slip lane and other project design features will increase safety for Gunston students and residents wanting to cross South Lang Street and Arlington Ridge Road. A concrete median on Arlington Ridge Road will be installed and the existing bus laybys will be replaced with wider sidewalks for safer bus access and to shorten the crossing distance for pedestrians. 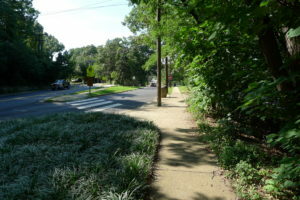 The slip lane will be replaced with low maintenance shrubs and trees to increase green space. 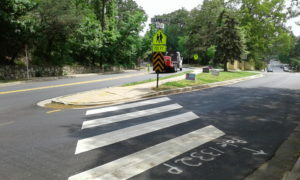 South Arlington Ridge Road: posted speed limit is 25 mph, 20 mph at the intersection when school beacons are flashing. 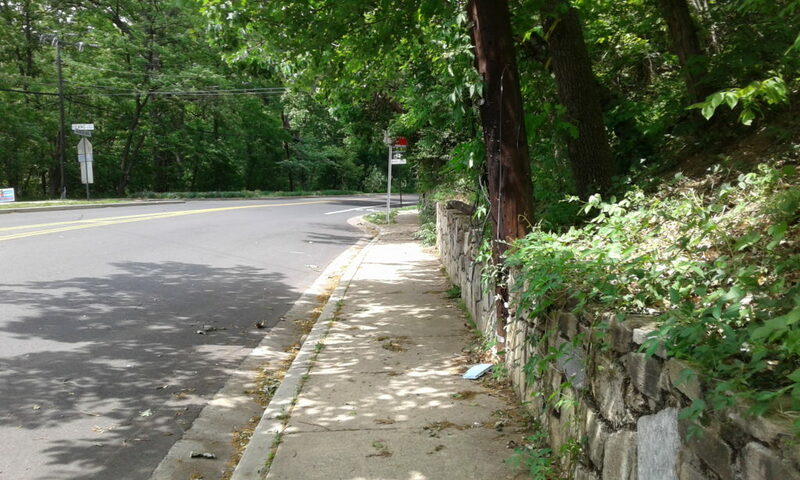 Average speeds on the Lang Street slip lane and Arlington Ridge Road are 10 miles above the posted speed limit. County staff presented the proposed plan to the Arlington Ridge Civic Association on Jan. 17, 2019. Project cost will be shared between Arlington County and the Virginia Department of Transportation.